How do I upload and use the Recipe Paywall on my site? The Simmer Recipe Paywall is ideal for websites or business owners who want to add new forms of revenue with existing or new recipe content. The extension allows recipe creators to publish a variety of both free and paid recipes. Use free recipes and the Leaky Meter pricing option to optimize enticement to buy access to paid recipes. First read this quick start guide, then continue on to our Paywall customization article for further setup or check the Paywall FAQ. 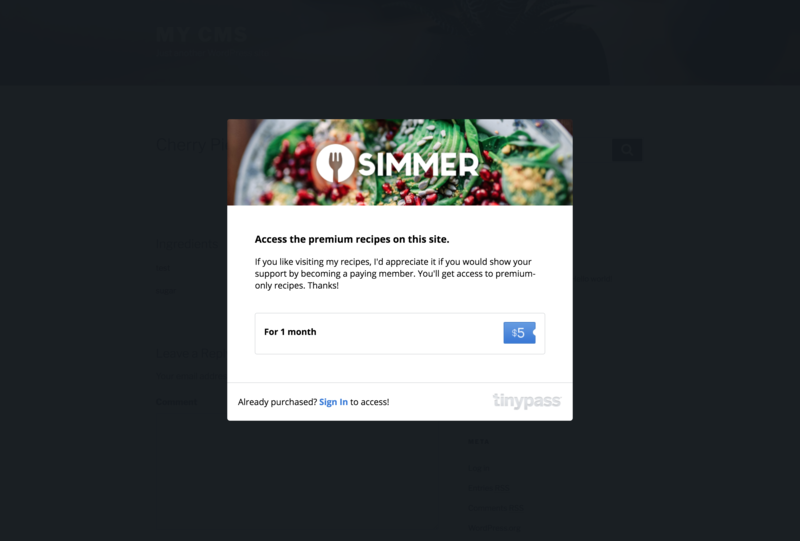 Tinypass for Simmer is an extension that allows WordPress websites to connect the power of micro e-commerce to monetize your food, beverage, or recipe content instantly with Simmer. Tinypass provides a variety of payment options, including “leaky meter,” “paywall,” and other types of innovative micro-pricing options for content on a per-item or subscription basis. The options are endless. For support please contact our support team anytime. Note: Tinypass and Piano are interchangeable names for the same system. This plugin requires Simmer Pro and WordPress. Buy the plugin and download the .zip file. Register for a free and instant Piano publisher account. Install and activate via the Plugins > Add New section of your WordPress site. 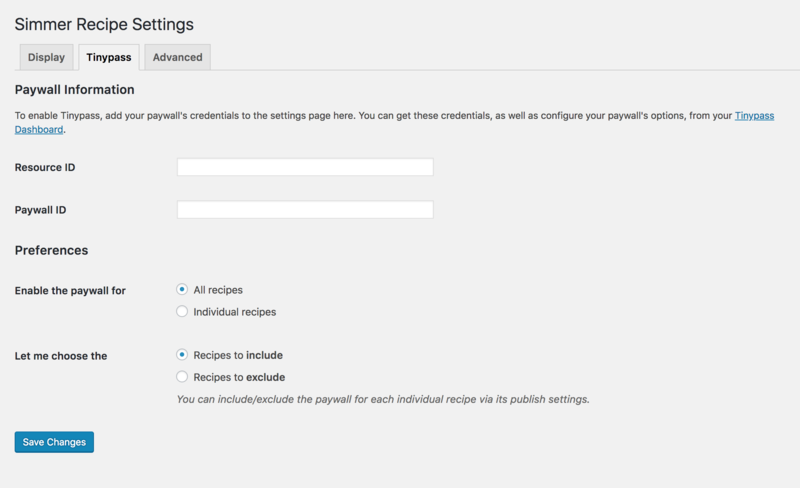 Under Simmer > Tinypass copy and paste your Resource ID and Paywall ID from your Piano dashboard and then choose to apply the Paywall to All Recipes or Selected Recipes. 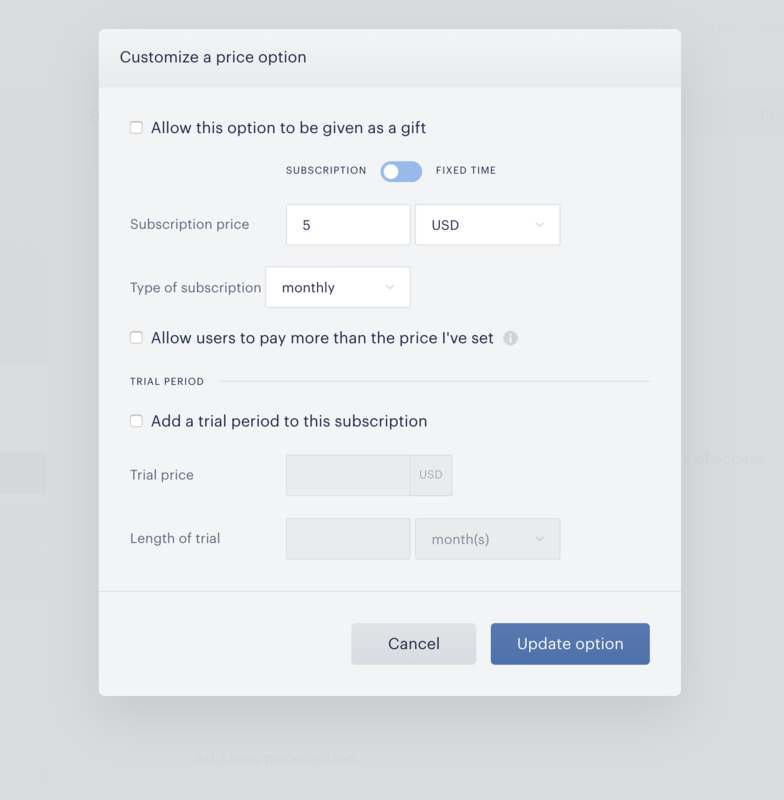 An example recipe paywall setup for monthly access at $5.